Custom Pillow case that is personalized with embroidered name on trim. 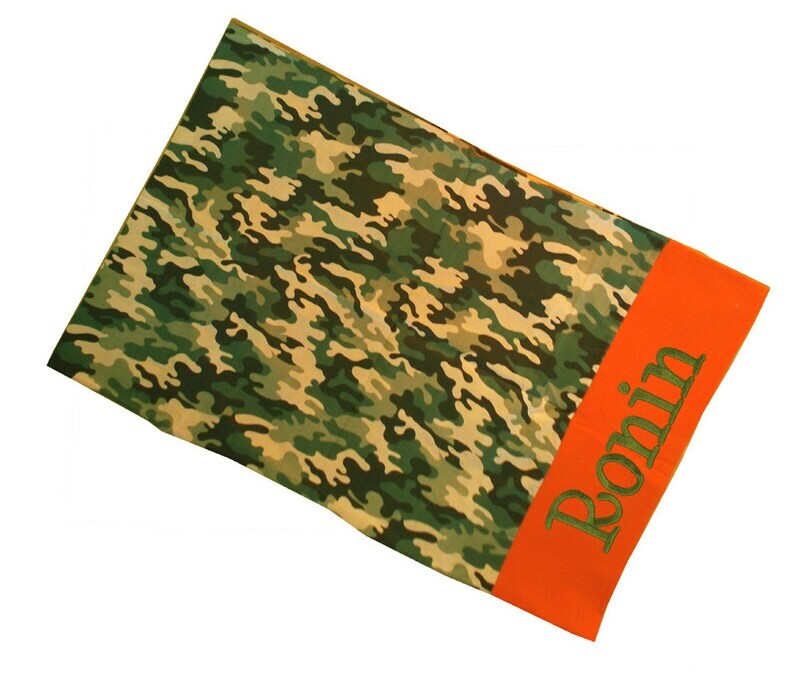 100% cotton pillowcase is custom made with camouflage fabric, and trimmed in bright orange fabric. Let me know name for embroidery personalization in the notes section at checkout. Name is embroidered in dark green unless you would like a different color, please let me know. If you have any questions let me know! Turquoise Chiffon Ribbon and Turquoise Maribou Big Bow Headband fits infants, toddlers and girls. Red and White Flocked Polkadot Ribbon and Maribou Big Bow Headband fits infants, toddlers and girls. 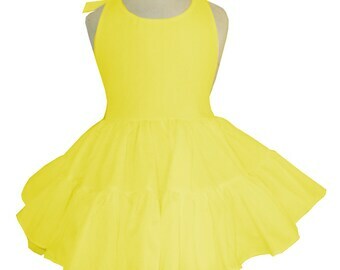 Solid Yellow Twirly Halter Dress Sundress with full ruffled skirt Infant Baby Toddler Girl Square Dance Dress Many colors available!